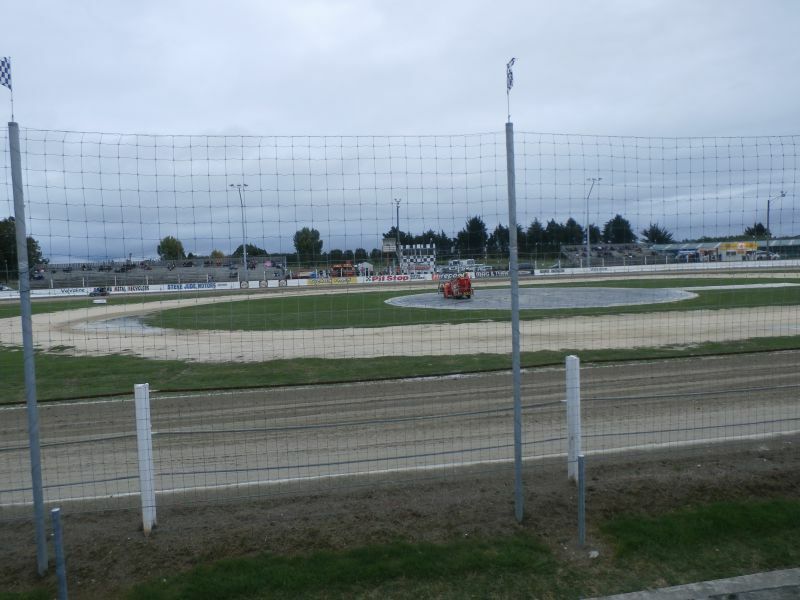 Location - The speedway is south of the Napier central city. 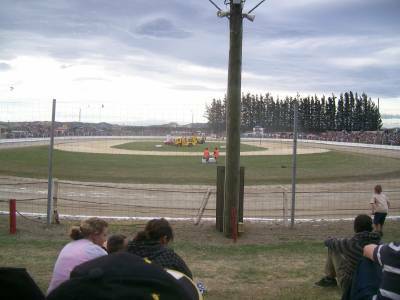 From the Napier-Hastings highway it's towards the coast, although the speedway itself is in a reasonably rural area. For exact instructions see the website. When Percy visited for the first time there was no EFTPOS. I believe this has since been rectified but take cash just in case. Parking - Parking was alongside the racetrack. At the time of my first visit it was directed by a local group but for most meetings it's park where you want. If directed a quick getaway is pot luck but you would want to be near the entrance. Premiere Meeting - The Autumn Nationals is one of the big end of season events. 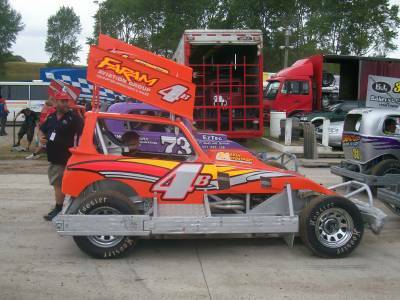 The event typically attracts quality drivers across the board at a time of year when there are plenty of cars on track. Also worth attending - The Peter Barry Teams Champs have quickly developed a reputation for action. Meeannee is a great teams racing track, narrow with a wall that slants outward. From the footage I've seen the event is poorly attended for the amount of action on the track. Best spot to sit - Much of the seating is perilously close to the track. Spectators need to be constantly aware of flying mud. Your best bet is to get there early and get a spot in the back row of the grandstand. Families are not well catered for. There is nowhere for the kids to run around and toilet facilities are outside the stadium and of a poor standard. 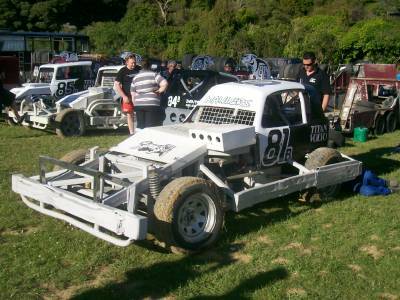 Classes run - Youth Ministocks, Streetstocks, Stockcars, Superstocks, Saloons, Super Saloons, TQ's, Solo's, Sidecars. 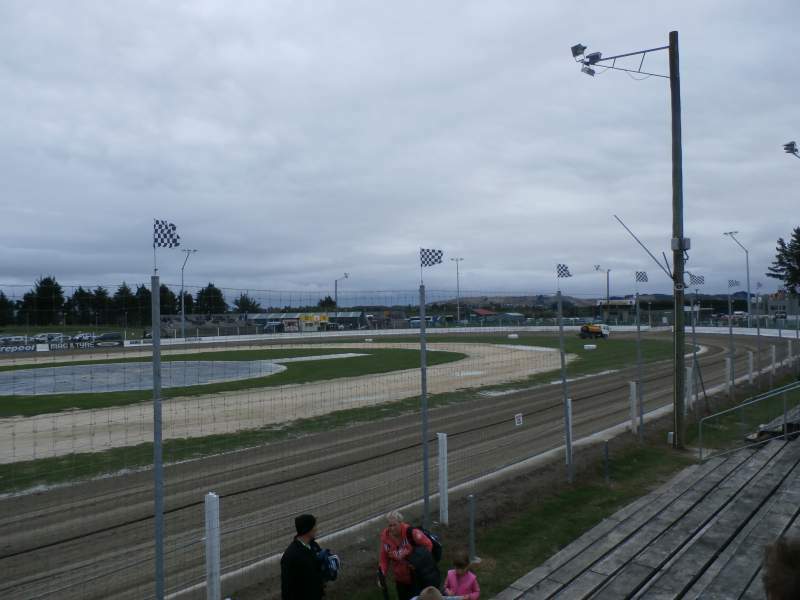 Uniqueness - The track itself is a fairly regular NZ Stockcar quarter mile. The unique aspect was the wall. Angled slightly to the outside of the track, it's easy for cars to go up the wall. This aspect certainly adds to the excitement of the contact classes. Also unique is a mobile Hell's Pizza outlet in the pit area. Just be prepared for a level of service lower than a brick and mortar restaurant.